Generally, to add a node (parent or child) you should use the add method. The position an element will be added at depends on the parameters you pass to the method. pos - the position that the new item should have after being inserted into the tree (zero-based numbering). Note, you can use the getBranchIndex method to get the position of a node by its id (read more). For more details, read article Items Selection. 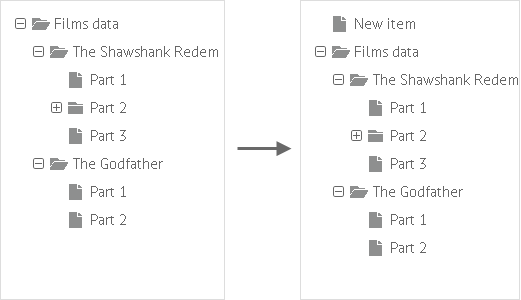 by clicking on a node text provided that activeTitle property is defined for the tree. 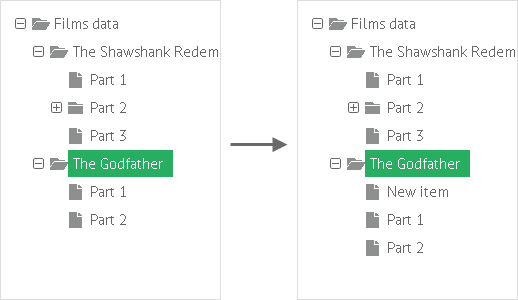 Read more on the topic in article Filtering in Tree. 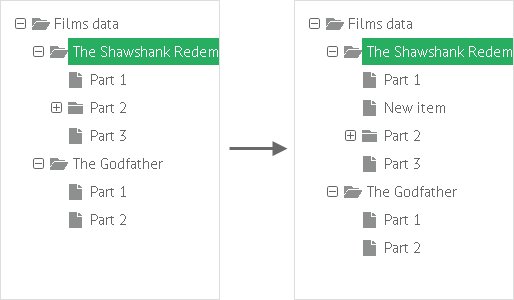 Read more on the topic in article Sorting in Tree. Methods lead to one and the same result and don't have any specificity.